Where would we be without love...? I wasn't sure which section to add this to, but, the thought, "Hey, what is a section of love without 1 Corinthians 13...?" even though I'm slightly altering the viewpoint from what I've seen of it and heard of it before. 4 Love suffers long and is kind; love does not envy; love does not parade itself, is not puffed up; 5 does not behave rudely, does not seek its own, is not provoked, thinks no evil; 6 does not rejoice in iniquity, but rejoices in the truth;7 bears all things, believes all things, hopes all things, endures all things. "God suffers long and is kind; God does not envy..."
And we've even tried to place ourselves in the shoes of love so we know how we're called to behave: "...though I give my body to be burned, but have not love, it profits me nothing." 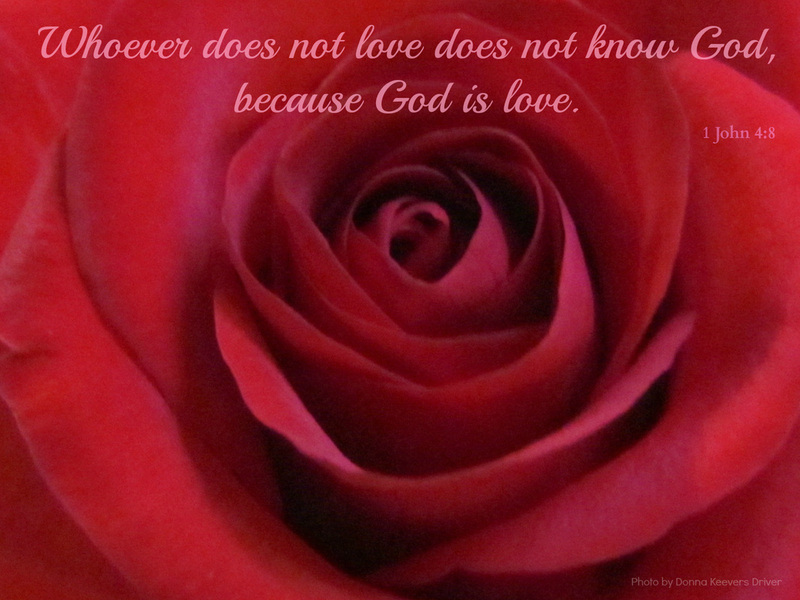 And, at times, we may have even replaced 'love' with 'God' and really focused on God's love for us, as His children. But...it came to me the other day, when we put ourselves in love's shoes, do we ever stop to direct it back to God...? What I mean is: Are we willing to suffer long when God doesn't answer our prayers when we want? Are we kind in heart towards God when we don't get what we want when we want it? Do we feel bitterness towards Him when someone else is having their prayer answered? Do we rise up against Him with attitude, wanting our own way - puffed up with pride? Do we behave rudely to Him as we seek our own? Are we provoked to anger against Him, and even stoop so low as to think evil of Him when we're not getting what we want when we want it? Do we mourn over iniquity or rejoice with it? Do we rejoice in His truth or do we only take the bits that best serve us 'at the time'? Does our love for God fail when things aren't going our own way? The question is, do we really love God? When faith needs to be put into practice, do we trust God? V7 "[Love] bears all things, believes all things, hopes all things, endures all things." Is this the state of our heart in the midst of trials, storms, disappointments, heartache, longing, and so on. When God has spoken and said, "I will do this in your life; for you; through you," and other such things, do you 'bear all things, believe all things, hope all things and endure all things,' or do you get up in His face and behave in a manner that 'love' would never associate itself with? It's worth thinking about, ay. The next time the trial comes, the disappointment comes, patience is needed, test yourself. Test your heart. Do you love Him? Do you trust Him? Is He or is He not good...?